This page is designed as a resource for meeting host sites and speaking faculty. If you are interested in attending or scheduling a meeting in your local area, please contact Kathy Whyte at 443-909-7901 or kwhyte@rockpointe.com. Welcome to "The Transition from Biologics to Biosimilars in Oncology Treatment Paradigms: A Means to Reduce Healthcare Costs with Continued Effective Management of Patients." This series of live CME-certified in-hospital presentations will be held nationwide in 2018 and 2019. The high cost of oncology care remains a valid concern, particularly with the advent of increasingly expensive biologics and new payment models geared toward value-based care. One partial solution is the adoption of biosimilars into daily practice to limit patient costs. However, this requires a high level of expertise regarding the potential risks, benefits, and challenges associated with emerging agents that are similar – but not identical – to their reference products. The Transition from Biologics to Biosimilars in Oncology Treatment Paradigms: A Means to Reduce Healthcare Costs with Continued Effective Management of Patients will use case-based examples to help clinicians appropriately analyze costs vs benefits in relation to fiscal concerns and patient outcomes while integrating biosimilars into daily practice. This activity is intended for medical oncologists, hematologists, nurses, pharmacists, and other clinicians involved in the care of patients with cancer. This program is designed to address ACGME and IOM competencies, including delivering patient-centered care, practicing evidence-based medicine, and focusing on quality improvement. This activity has been planned and implemented in accordance with the accreditation requirement and policies of the Accreditation Council for Continuing Medical Education (ACCME) through the joint providership of the Potomac Center for Medical Education and Rockpointe Oncology. The Potomac Center for Medical Education is accredited by the ACCME to provide continuing medical education for physicians. The Potomac Center for Medical Education designates this live activity for a maximum of 1.0 AMA PRA Category 1 Credit(s)TM. Physicians should only claim credit commensurate with the extent of their participation in the activity. Return the evaluation forms to the host coordinator. All persons in a position to control the content of a continuing medical education program provided by PCME are required to disclose any relevant financial relationships with any commercial interest to PCME as well as to learners. All conflicts of interest are identified and resolved by PCME in accordance with Standards for Commercial Support in advance of delivery of the activity to learners. Disclosures will be made known to the participants prior to the activity. The contents of some CME activities may contain discussions of non-approved or off-label uses of some agents mentioned. Please consult the prescribing information for full disclosures of approved use. Thank you for joining us as an expert speaker for the grand round series "The Transition from Biologics to Biosimilar in Oncology Treatment Paradigms: A Means to Reduce Healthcare Costs with Continued Effective Management of Patients." This orientation will familiarize you with the complete slide set, provide insight from the program steering committee, and address potential questions. Gary H. Lyman MD, MPH, FASCO, FRCP, FACP is Co-director of the Hutchinson Institute for Cancer Outcomes Research and Member of the Public Health Sciences and Clinical Research Divisions at the Fred Hutchinson Cancer Research Center. He is also Professor of Medicine and Adjunct Professor in the Schools of Public Health and Pharmacy at the University of Washington. Dr. Lyman received his undergraduate and medical degree from the State University of New York in Buffalo and completed his internal medicine residency at the University of North Carolina in Chapel Hill and hematology/oncology fellowship at the Roswell Park Memorial Institute. Dr. Lyman subsequently pursued a postdoctoral fellowship in biostatistics at the Harvard School of Public Health and the Dana Farber Cancer Center. After joining the faculty of the University of South Florida College of Medicine, Dr. Lyman served as Assistant, Associate, and then full Professor of Medicine and Director of Medical Oncology. Shortly after his arrival, Dr. Lyman began working with Lee Moffitt and leadership of the University to develop plans for the eventual H Lee Moffitt Cancer Center and Research Institute, where he served as the founding Chief of Medicine and Director of the Division of Medical Oncology, as well as Associate Chairman of the Department of Medicine. During this period, he also served as Professor of Medicine and Professor of Epidemiology and Biostatistics at the University of South Florida. Dr. Lyman has also held positions at Albany Medical College, University of Rochester and Strong Memorial Hospital, and the Duke Cancer Institute and Duke Center for Clinical Health and Policy Research. Dr. Lyman is active with the American Society of Clinical Oncology (ASCO), serving recently on the ASCO Board of Directors and chairing the Guideline Methodology Committee. Dr. Lyman Chairs the ASCO Task Force on the Role of Observational Research in Clinical Practice and the ASCO Working Group on Biosimilars in Oncology. He is also active in the American Association for Cancer Research and the Institute of Medicine, as well as the American Society of Hematology where he serves on the Quality and Guideline Oversight Committees and Chairs the forthcoming guideline on cancer and thrombosis. Dr. Lyman is Editor-In-Chief of Cancer Investigation and serves on the Editorial Board of the Journal of Clinical Oncology, Journal of Global Oncology, and several other specialty journals. In addition to serving as a Fellow of ASCO, Dr. Lyman is a Fellow of the Royal College of Physicians (Edinburgh), the American College of Physicians, and the American College of Preventive Medicine. 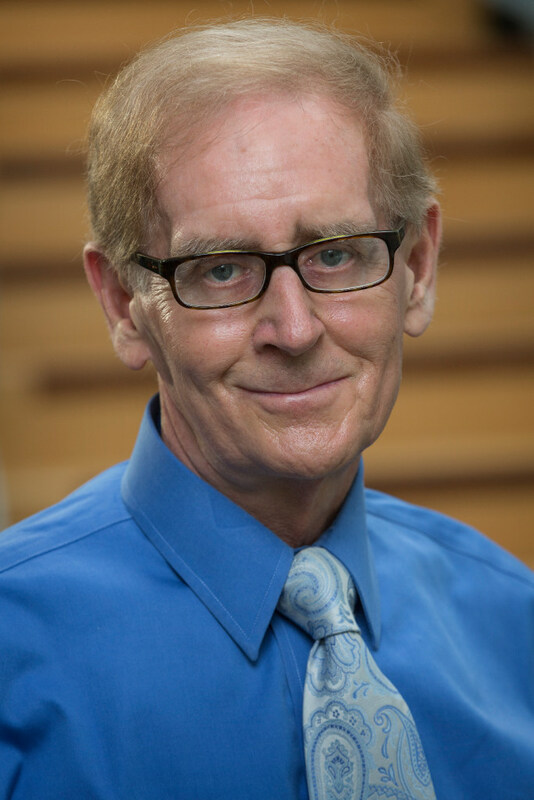 His research interests include precision medicine based on personalized cancer treatment and supportive care, comparative effectiveness and outcomes research related to biomarkers and targeted therapies, mathematical and statistical prognostic and predictive models, advanced methods of evidence synthesis in support of clinical practice guidelines, and population studies of patterns of cancer treatment and the impact of health disparities on the quality of cancer care. Dr. Lyman has authored or edited more than 15 books and nearly 600 articles in the scientific literature. 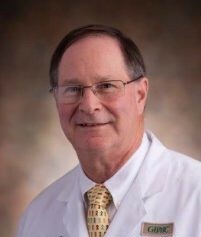 Gary I. Cohen, MD, FACP, FASCO is Director Emeritus of the Sandra and Malcolm Berman Cancer Institute at Greater Baltimore Medical Center (GBMC). He completed his undergraduate training at Duke University and graduated medical school at the University of Maryland. He subsequently completed his fellowship training in medical oncology at the Dana Farber Cancer Institute of Harvard University. During that time he also completed a fellowship in hematology. He currently holds an appointment as Associate Professor in the Department of Oncology at the Sidney Kimmel Comprehensive Cancer Center at Johns Hopkins, and is board-certified in internal medicine, medical oncology, and hematology. He is a Fellow of the American Society of Clinical Oncology and the American College of Physicians. Dr. Cohen established the Cancer Center at GBMC after being appointed Director in 1990. The Center has been listed by US News and World Report as one of the top 50 cancer programs in the US. Dr. Cohen has co-authored numerous articles in the medical literature on various aspects of clinical cancer research.He has been an active participant in the ECOG-ACRIN national cooperative clinical trials group, chairs the Community Scientific Committee, serves as Community Co-Chair of the Melanoma Committee, and sits on the ECOG-ACRIN Executive Council. He is a Founder and Board Member of Gilchrist Hospice Care in Baltimore. He has served on many committees and boards for health-related organizations including the Board of Directors of the American Society of Clinical Oncology and Chair of the ASCO Measures Task Force (Quality Care Committee). He served for 20 years as Administrative Director of the Sidney Kimmel Foundation for Cancer Research, which awarded more than $3 million dollars per year to outstanding young cancer scientists. He has won housestaff teaching awards on several occasions and has regularly been listed in local (Baltimore Magazine) and national physician surveys as a "Best Doctor” in Oncology. 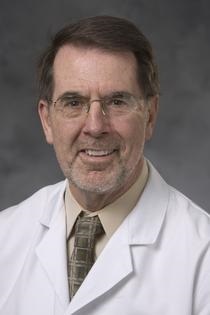 Jeffrey Crawford, MD is the George Barth Geller Professor for Research in Cancer at Duke University Medical Center and Co-director of the Solid Tumor Therapeutics Program in the Duke Cancer Institute (DCI) in Durham, NC. He earned his medical degree from Ohio State University and completed his internship, residency, and hematology/oncology fellowship at Duke University Medical Center. Dr. Crawford was Chief Resident in Medicine and also completed a fellowship in geriatrics at the Veterans Administration Medical Center in Durham, NC. He is board-certified in internal medicine, hematology, and oncology. Dr. Crawford served as Chief of the Division of Medical Oncology for 10 years prior to assuming his current leadership role in the DCI as Co-director of the Solid Tumor Therapeutics Program. Dr. Crawford is Principal Investigator for the National Clinical Trials Network Lead Academic Site Grant at Duke. He is a member of the Executive Committee for the Alliance and Chair of NCCN Myeloid Growth Factors Panel. Dr. Crawford’s research interests include new treatment approaches to lung cancer, supportive care therapies, including hematopoietic growth factors, and agents that impact muscle wasting. He has published more than 180 manuscripts and chapters. As NCCN panel chair, he helped develop the guidelines for the first FDA approved biosimilar, filgrastim-Sndz. Due to his experience with growth factors and other biologics, Dr. Crawford has participated in the review process for several other biosimilars in development, as well as helped develop national educational programs for the incorporation of biosimilars into oncology. Jointly Provided by the Potomac Center for Medical Education and Rockpointe Oncology. This activity has been supported through an educational grant from Pfizer.